Alfred Aberdam grew up in a wealthy family in Lwow (Lemberg), which was then part of the Austro-Hungarian Empire. His father was a cultivated man. In 1913, Aberdam left for Munich where he studied painting at the Royal Academy of Fine Arts. When World War I broke out, he had to stop studying; he was mobilized to serve in the Austrian army on the Eastern Front. He was wounded in the beginning of the war and was captured by Russians before being interned in Irkutsk, Siberia. In 1917, Aberdam was appointed the People’s Commissar of the Department of Fine Arts by the local soviet, which assigned him the task of reorganizing artistic teaching. A year later, in Moscow, he befriended the poet Vladimir Mayakovski. After living in Leningrad and Vienna, Aberdam returned to Lwow. Between 1920 and 1922, he studied at the Fine Arts Academy in Krakow where Josef Pankiewicz was teaching and he obtained a first painting prize in 1922. His career as a painter began in Warsaw in April 1922 when he participated in the 4th Exposition of Painting and Sculpture presented at the Jewish Community Center, followed in October in Lwow by the collective exposition of the Circle of Jewish Art Lovers. From that date on, he contributed articles and reports to artistic reviews in Lwow, notably to Chwila and Nasz Przeglad. In 1923, while he was staying in Berlin, he met Menkes and Weingart in the studio of the sculptor Alexander Archipenko. In 1924, he settled in Paris in the Montparnasse district. 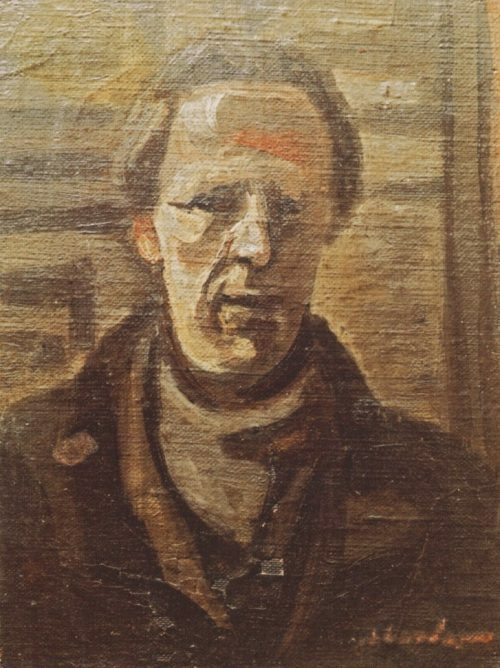 At the end of 1925, Jan Sliwinski held an exhibition of the four painters from Galicia in his gallery Au Sacre du Printemps, at 5 rue du Cherche-Midi, Paris. Aberdam’s work was exhibited alongside paintings by his three friends Léon Weissberg, Sigmund Menkes and Joachim Weingart. The Group of Four was born. Until 1937, thanks to his friend Marcel Slodki, Aberdam enjoyed commissions from Swiss collectors. Under the German occupation, he found refuge in Paris at pianist Anna Radlinska’s home. 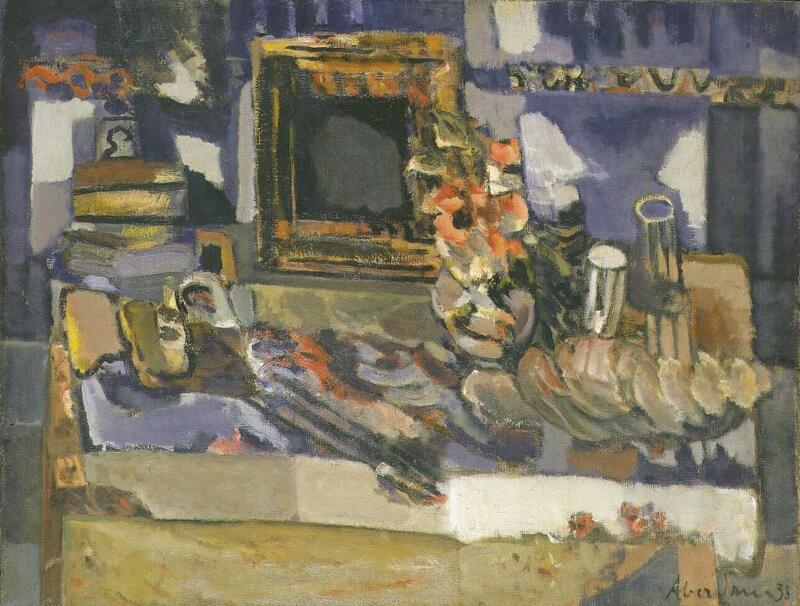 After the war, Alfred Aberdam returned to his home in Paris, visited the south of France, Switzerland, and later Israel, where several exhibitions were devoted to his art. In 1944, he participated in the reorganization of the Jewish Artists Society in Paris, created in 1937 by Léon Weissberg and Chil Aronson with the support of famous artists like Marc Chagall and Mané-Katz, with the sculptor Léon Indenbaum as president. Aberdam became secretary of the association, and Marc Sterling and Zygmund Schreter were its treasurers. Their goal was to create a Jewish museum in Paris and a periodical dedicated to Jewish culture. This association organized twenty meetings, the first of which took place on September 15, 1944. In 1960, three years before his death, he painted a masterpiece, a large canvas that he entitled: “Triumph of the Night – AUSCHWITZ”: “A fantastic opera of fabulous gesture: the evocation of his twists and turns requires an exceptional staging. Does not Aberdam already master the two principal techniques: musicalisation and the translucid commutability of colors? It remains for Aberdam to interject his discoveries into the visionary splendor of his tumultuous imaginary. And we witness the birth of a pictorial continent never seen before: epic symbolism.” José Aberdam, “Alfred Aberdam” in École de Paris, le Groupe des Quatre, op. cit. p. 111.